“It is only us, the young generation, which can bring real change to our country. Our society needs us,” Arabzai said while three of her women supporters sitting nearby nodded in agreement. A record 417 women are fighting for a seat in the 250-member parliament. But women candidates say they face a daunting task as they aspire to leaderhip positions in a country marred by nearly two decades of armed rebellion waged by Taliban armed group. The armed group, which still controls a third of the country, is boycotting the elections and has promised to disrupt the process. The polls are also the first since the NATO combat mission ended in 2014, when the Afghan forces took over responsibility for security in the country. But that hasn’t deterred the women candidates from holding rallies and campaigning. 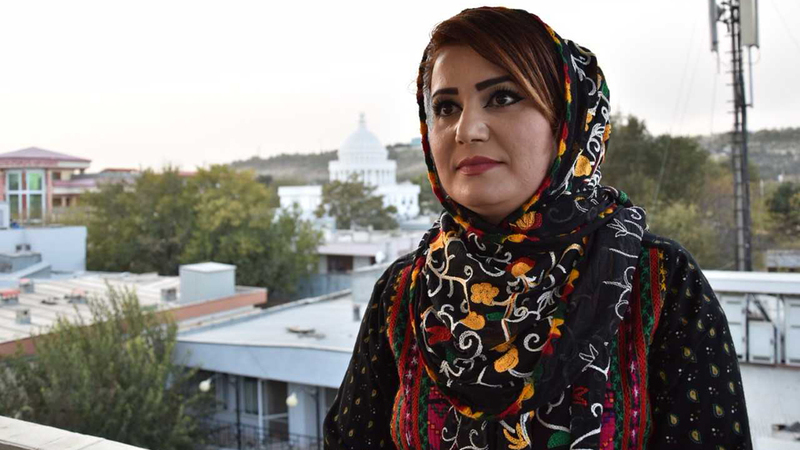 Shenkay Karokhel is a former Afghanistan ambassador to Canada and resigned from her post earlier this year to return to Kabul and contest again.